It’s a brand-new tale by Hellboy scribe Mike Mignola. In fact, this issue opens with Hellboy beating the crap out of Koshchei. But this is only in flash back as we see the two heroes soaking up some suds at the local pub. 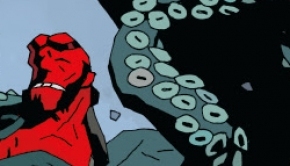 Hellboy asks Koshchei how he got involved with Baba Yaga which leads us to some exposition about the main character in this tale. This title is an awesome look at another barbarian type of character, but he’s nothing like the barbarians that have gone on before him. This barbarian finds himself near death when a character called The Dragon promises to save him in exchange for nine years of his life. At the end of nine years the dragon offers to teach him magic if he stays on, but Koshchei is determined to find his way in life. So, the dragon gives him an interesting parting gift and he’s on his way. 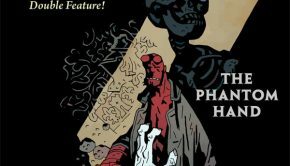 Mignola weaves his intricate story telling abilities once again with remarkable success! He brings the title character to the brink of despair another time and now it looks hopeless, but the dragon resurfaces in Koshchei’s life. It’s a tragic case of the protagonist not being able to trust his own family. 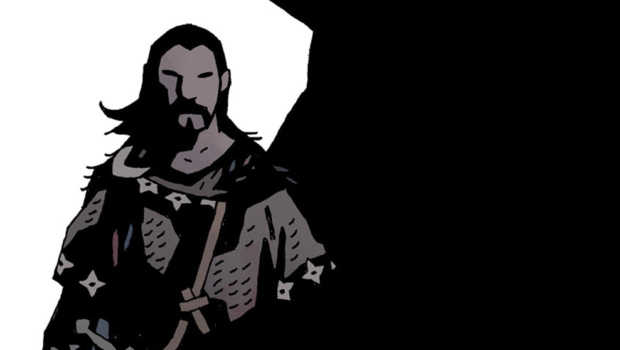 We’re drawn into Koshchei’s life and find ourselves relating to the character by the expert pen of Mike Mignola, it’s great stuff! 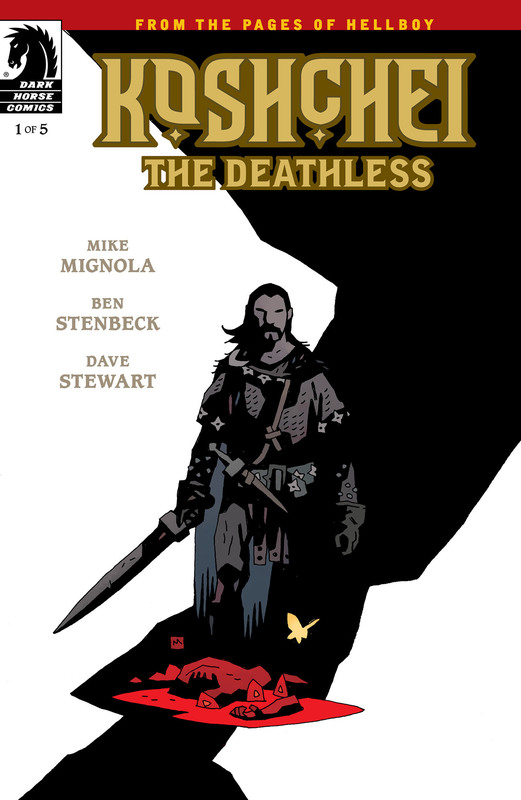 Ben Stenbeck is a worthy craftsperson to take on the words of the mighty Mignola. His artistic expression is so like Mignola’s that if I hadn’t read the credits I would have thought that the maestro drew this issue himself. Stenbeck must have studied at the master’s feet. And yet, on closer inspection, there are subtle differences that make this his own. The fire burning in the village is somewhat different than what Mignola would have done I think. And if Mignola had drawn it I also think that the panels would have unfolded differently. I can’t put my finger on it, but Stenbeck is a student of, not a copier of, Mike Mignola. It’s great stuff!